Humans can detect about 10 million unique colors, but how often do we really think about the hues we see? For most of us, the answer is probably not much. But if you're graphic artist Inka Mathew, the answer is all the time—so in 2013, when "very bright blue little flowers in my front yard" caught her eye, she decided investigate. She identified the flower as a Georgia Blue, and began to look for a Pantone color that would be an exact match. When she located the right hue, she took a picture of the flower on top of the chip with her iPhone and posted the photo on Instagram. 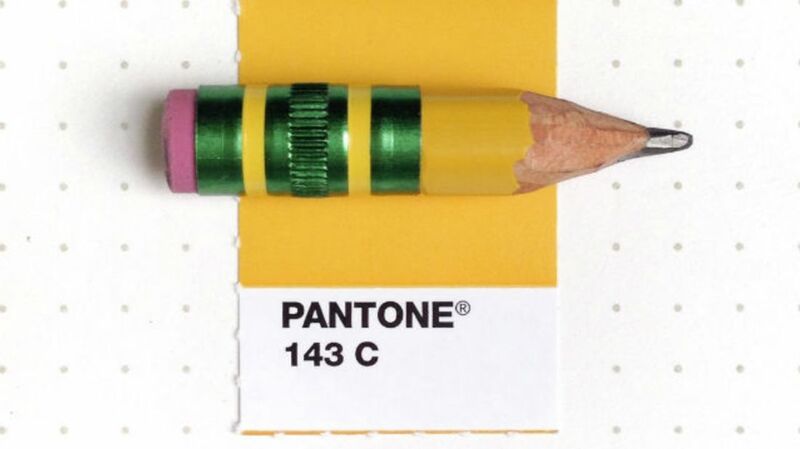 Her followers urged her to continue finding color matches for everyday objects, and the Tiny PMS Match project was born. None of the colors are adjusted in post-production—the matches are found using natural daylight to ensure their accuracy. Each image entry is accompanied by a label; Mathew will often add a short story about the object's origins and why it was included. The Tiny PMS Match Project has been published as a hardcover by Abrams Books. Mathew is currently posting sneak peeks on her Tumblr; here are a few, with Mathew's captions. "A teeny weeny strawberry. Couldn’t believe I found this little thing in a big box of strawberries from Costco!" "Yes, I have doll-sized clothes pin laying around, just in case." "Guinea Fowl feather. I went to Rohan Meadery & farm in La Grange, TX yesterday with my family to buy some honey wine. They have Guinea Fowls running around freely, doing their duty as chemical-free pest control." In this case, PMS stands for Pantone Matching System, not premenstrual syndrome. But if you were confused, you're not alone: Many people have asked Mathew about the name, but the confusion has a silver lining. "If anything, the other unintentional meaning people assume makes them even more curious to check out what this blog is all about," she wrote. To see more of her Tiny PMS Match Project, check out her Tumblr.